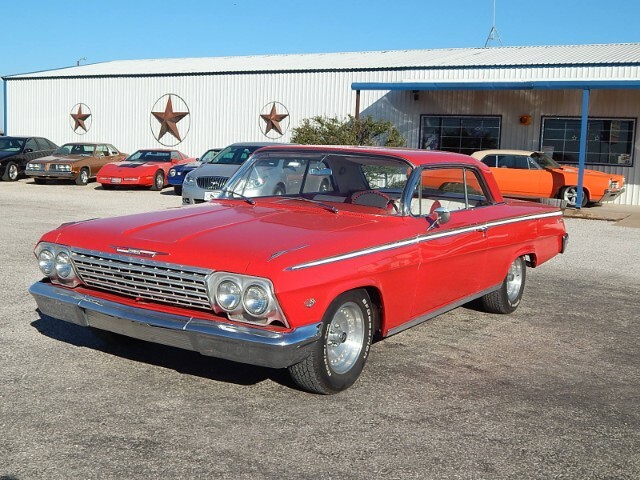 1962 Chevrolet Impala Powered by a 350 Motor With Automatic Transmission. The front brakes have been upgraded to power front disc double hump heads,Edelbrock Carb And Intake, Headers,New Fuel Tank, The Floor pans have been replaced. This is a nice classic cruiser that needs a few things done to make it real nice. Will Need a Front windshield replaced. American Racing Wheels with BF Goodrich Tires. Call For More info.